This event finished on 19 March 2019. Vic No-Till is thrilled to bring Nicole Masters to Victoria for a Soils Workshop and Soils Masterclasses in March 2019 – three venues! Due to the limited places in these sessions, bookings are limited to one participant per farming business. If others from the same farming business would like to attend they will go on a waiting list. 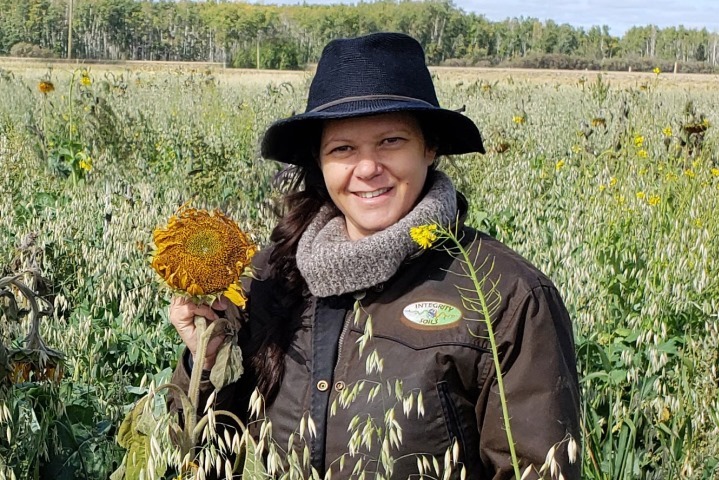 Nicole is an agro-ecologist, educator and systems thinker with nearly 20 years’ extensive practical and theoretical experience in regenerative land practices. She has been communicating these methods throughout Australasia since 2003 and North America (2013); for both the wellbeing of landscapes and land managers. As a seasoned soils coach, she has a proven record in supporting producers in meeting their goals. Nicole Masters in a sunflower cover crop. This project is supported by Vic No-Till, through funding from the Australian Government’s National Landcare Program, Goulburn Murray Landcare and Goulburn Broken, North Central and Wimmera Catchment Management Authorities.